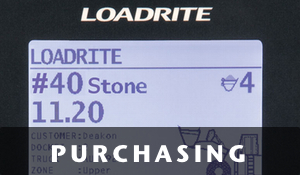 It has been my experience that those who sell or provide materials by the load or by the yard typically give away 10 to 25% of their product and by putting a loadrite system on that stops. The reason being is you do not want to be accused of shorting someone and operators don't want to short anybody and since it's not their material they don't mind giving some extra away. Therefore, you stop giving away a lot of money (material is money) and stop extra wear and cost on crushing and loader equipment that's unnecessary. For example if a machine has a 4 yard bucket and it goes into the pile and the operator heaps up the bucket to four and three-quarter yards the operator counts that as 4 yards. Therefore, you just gave away three quarters of yard of material. I use the analogy of “it’s giving away the gravy on the potatoes, you will survive Business wise on just potatoes but it's the gravy that makes things better. STOP GIVING AWAY THE GRAVY! Here to help your payload management system work for you. Finding the right application for the job. Find and purchase the products you need now.